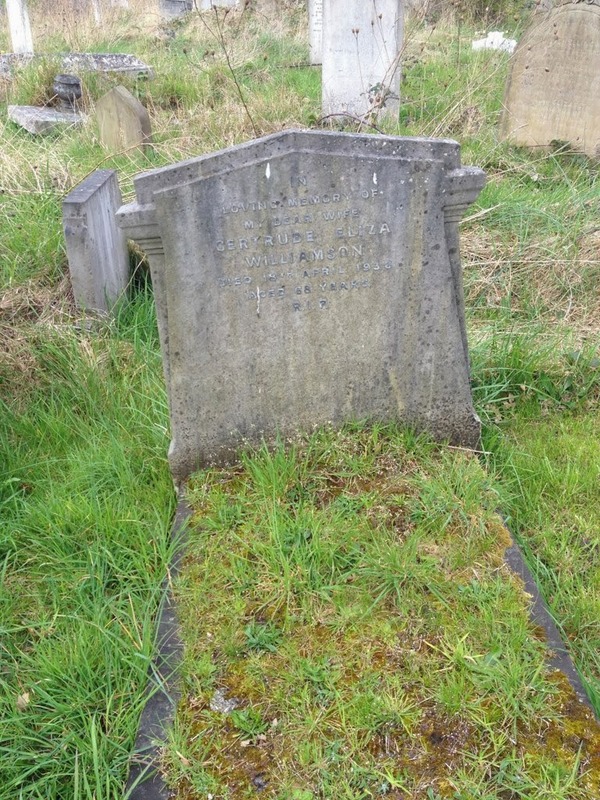 The grave of Gertrude Eliza Williamson lies in the Ladywell section of the Brockley & Ladywell cemeteries. It is a simple grave which many people will have walked past without a second glance and the faded inscription on the headstone gives little away. The words 'my dear wife' indicate that Gertrude was married, but her husband's name is not recorded, nor are the names of her three children. And there is no mention that one of those children - Henry - grew up to be the famous author of Tarka the Otter and many other books. Gertrude, known as 'Gertie', was one of five children of Thomas Leaver, a prosperous businessman. The family lived in Sutton where Gertie met William Leopold Williamson and fell in love. Their romance was kept quiet as Thomas Leaver disliked the Williamson family and did not approve. 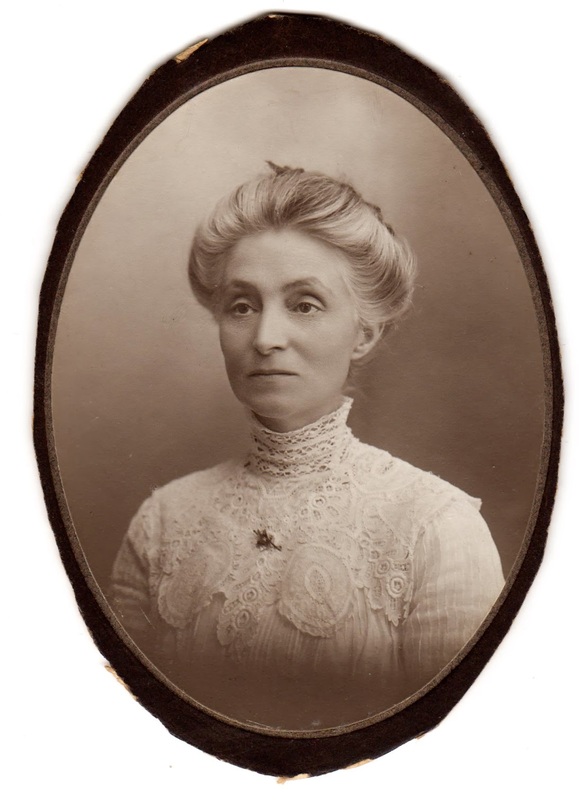 In May 1893, however, the couple married at Greenwich Register Office without Thomas Leaver's knowledge - quite a daring act of defiance in that era, although Gertie's mother was present at the ceremony. For a brief period, Gertie continued to live at the Leaver family home until she became pregnant and Thomas had to be told. 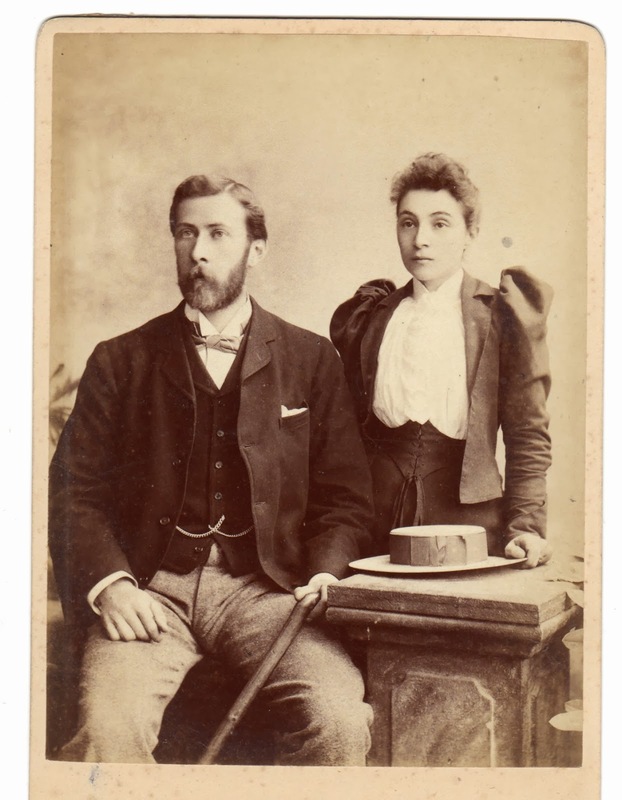 Gertie and her husband then set up home in Brockley at 66 Braxfield Road. Their first child, Kathleen, was born in 1894, the second Henry on 1 December 1895 and the third Doris in 1898. In 1899, William purchased 11 Eastern Road, a newly-built house alongside Hilly Fields for the sum of £480 (!) and the family moved in. Today, it is No 21 Eastern Rd and a plaque on the front records that 'Henry Williamson writer...lived here'. These events are re-created with a little poetic license in the early books of Henry Williamson's novel sequence A Chronicle of Ancient Sunlight in which Henry is 'Phillip' Maddison', Gertie becomes 'Hetty' and William Leopold is 'Richard'. The Chronicle covers sixty years and is - as Henry's biographer Anne Williamson puts it - 'a fictionalised social history of England in the first half of the 20th century'. The first volume The Dark Lantern is the story of how Henry's parents met. Set between 1893-95, the novel is full of dramatic incident and packed with detail of everyday life in late Victorian times. It also paints a fascinating picture of Brockley and Ladywell when the area was still 'semi-rural' with farmland covering much of Ladywell and Crofton Park. The Dark Lantern ends with the birth of Henry or rather 'Philip' who becomes the central character in the rest of the series. The next three volumes - Donkey Boy, Young Phillip Maddison and How Dear Is Life - deal with his childhood in South East London and Gertie or 'Hetty' remains one of the major characters. Even when 'Philip' departs for the Western Front in 1914 at the age of 18, he still writes to her, while his father standing on Hilly Fields hears 'guns on the wind' from across the channel. The union of William Leopold and Gertie turned out to be far from idyllic and both were disappointed in each other from an early stage. This is reflected in the novels where 'Richard' is overbearing and constantly critical of 'Hetty' while she has 'the slight feeling of dread which...always came over her whenever his presence was imminent' (The Dark Lantern). They were not - their son infers - a good match in 'mind and outlook'. However, despite various crises, their marriage survived. No doubt this was partly due to social convention, but Gertie's self-sacrificing nature and her wish to maintain family harmony would have played a vital role. Her love for the three children (who were all 'difficult' at times) is evident in life and in the novels. There are plenty of local references in the Chronicle and 'the cemetery' is often mentioned. Nightingales are heard singing there and an old man remembers working in the 'Great Field' of Bridge House Farm which became the designated land for the cemeteries in 1858. In The Dark Lantern 'Richard' and 'Hetty' walk down Ivy Lane noting the stone-mason's yards at both entrances 'heaped with white marble tombstones and monuments...a blank and dolorous sight'. This walk ends when the pregnant Hetty is taken ill and brought home in a horse and cart. Driving down Brockley Road, they pass the cemetery and while 'Hetty' turns her head away, the reader sees 'beyond the hedge of laurel' and the railings: '...the slow figures standing by an extensive common grave, depressed figures in black. 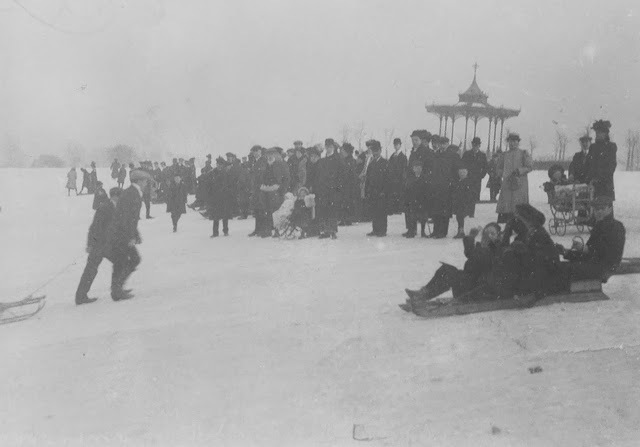 The women were heavily veiled and draped, some of them weeping, flowers in hand, where their children had been buried, after the severe winter'. As they near the entrance, an elaborate funeral procession approaches which allows Williamson to depict the gulf between rich and poor. His precise description of the procession is too long to quote in full, but it begins: 'The hearse was an elaborate affair of decorated plate-glass enclosing nickel-silver railings with scrolls within which rested the coffin, wreaths of lilies laid upon it...' Its occupant is unlikely to be headed for a 'common grave'. The procession is watched by 'a little group holding brown paper parcels in their hands underneath the three gilt balls of the pawnbroker's across the road'. Henry Williamson moved to Devon in March 1921 where he married and wrote Tarka the Otter, published in 1927. William Leopold and Gertie stayed on at Eastern Rd together, but in 1933 Gertie suffered a stroke. In 1935, she was diagnosed with cancer and entered a nursing home in Greenwich where Henry visited her. She died on 18 April 1936 and two days later William Leopold wrote to his son: 'The funeral is fixed for Thursday the 23rd of this month at 11 a.m Ladywell Cemetery & leaves this house at 10.45 am. Please let me know if you are coming...' Henry did attend and wove the story of Gertie's illness and death into his novel The Phoenix Generation. But his account of the funeral is disappointingly brief: 'The sides of the grave were smooth yellow clay. Phillip dropped the first handful of soil on the coffin'. There are a few comments about other family members present, but no description of the cemetery. William Leopold sold the Eastern Road house shortly afterwards and moved to Bournemouth, where he died and was cremated in October 1946. Of the two daughters, Doris stayed in the Ladywell area while Kathleen moved to Bournemouth. Henry died in 1977 and is buried in Georgeham, Devon. It may have been partly due to this dispersal of the wider family that Gertie's headstone was left as it had been in 1936. Henry had not always been the best son and The Phoenix Generation records his guilt in this regard, but perhaps it also contains a fitting epitaph for Gertie when 'Philip', after visiting his mother for the last time, writes: 'Mother was unselfishness itself...her life had been a pure flame of gentle courage'. 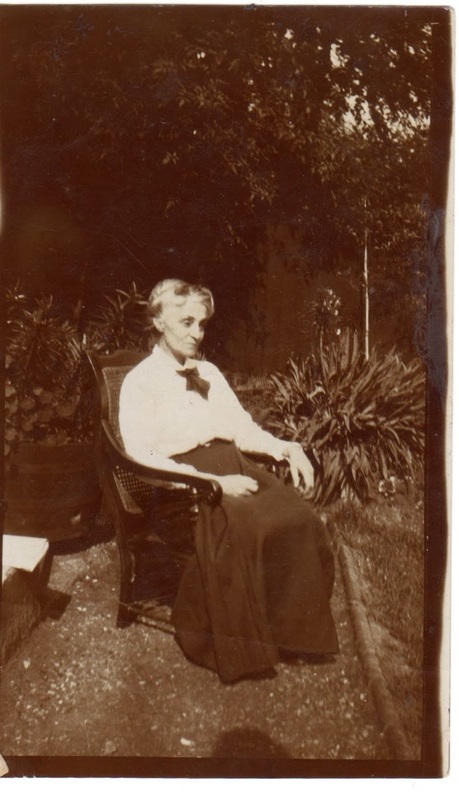 The FOBLC wishes to thank Tom Moulton, the author of this account, as well as Anne Williamson for the photographs of William Leopold and Gertrude and for permission to quote from the novels.